For all those looking for a non-beachy vacation, I would highly recommend Athens. When you hear that someone in their mid-20s has travelled to Greece, one immediately imagines them lying on a sandy beach surrounded by the pristine waters of Santorini or thinks of them dancing to their heart’s content to the tunes of the world’s best DJs on the party island of Mykonos. 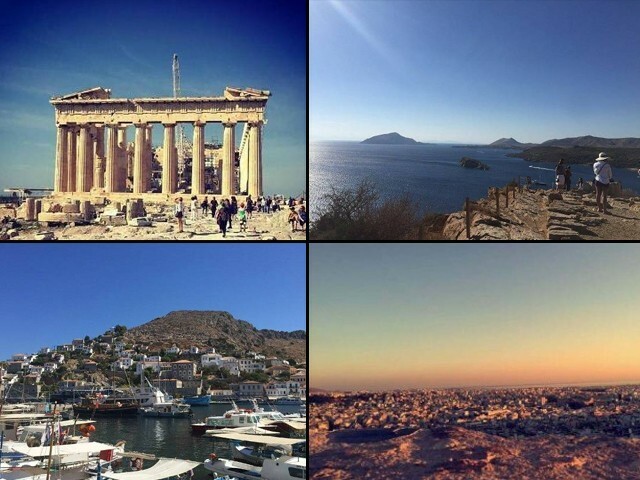 But those are not the destinations my friends and I chose for our four-day get-away to Greece. Our city of choice was Athens, the birthplace of democracy. 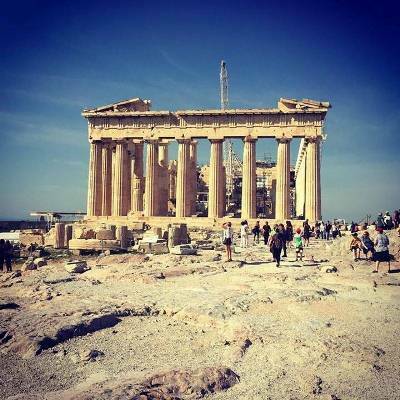 Named after the Greek God Athena, and one of the oldest cities of the world, Athens was not just a treat historically and culturally, but it turned out to be a great get away from the drudgery of our monotonous work life. The first site we explored was the most obvious one, the Parthenon at the Acropolis. The term ‘Acropolis’ actually refers to the fortified part of a city built on a hill and the Parthenon is the temple built by the Greeks in ancient times in honour of the Goddess Athena. Since the city gets quite hot during the day in September, sunset is the best time to visit the temple. The temple was a ‘short 20-minute walk’ according to the hotel concierge but taking into account the incline and the small, tempting local stores selling Greek souvenirs, it turned out to be a 40-minute walk. However, the view from the top made the journey worth it. 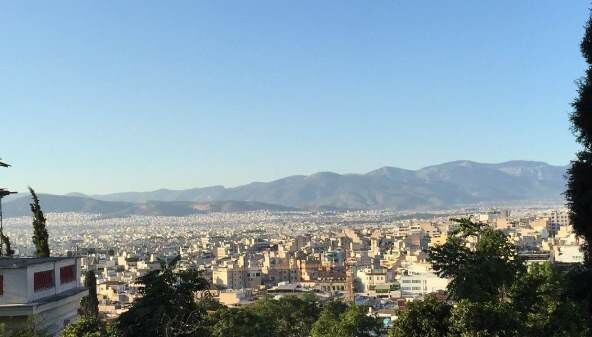 The entire city was sprawled below us while the sun set on the Aegean Sea in the distance and we witnessed the dry city come to life within minutes. Lights flickered on throughout the city, signalling to the tourists that the city had woken up from its afternoon siesta. Yes, the Greeks are big on their naps. Whoever said that the Greek are an unfriendly lot got it all wrong. From our overfriendly hotel concierge who made an extra effort to crack jokes, to the shopkeepers who wrote down names of local restaurants serving authentic Greek food for us, everyone we encountered was friendly and helpful. A tip for tourists: Do not hesitate in bargaining at souvenir shops or moving on to the next store to get a quote because the city is full of these stores. In my haste and enthusiasm to get a hat for our cruise the next day, I ended up buying it from the first store and overpaying by around five euros. For those who are not aware, Greece is still on the euro and the food there is quite cheap along with shopping being less expensive, as compared to most European countries. You can even order tap water instead of bottled water in order to save money at restaurants or if you insist on drinking bottled water, you’re better off buying it from a supermarket. The next day we had a one-day cruise on the agenda for which we had our hotel pickup at 7am, which meant hogging on hotel breakfast 10 minutes before it officially opened. 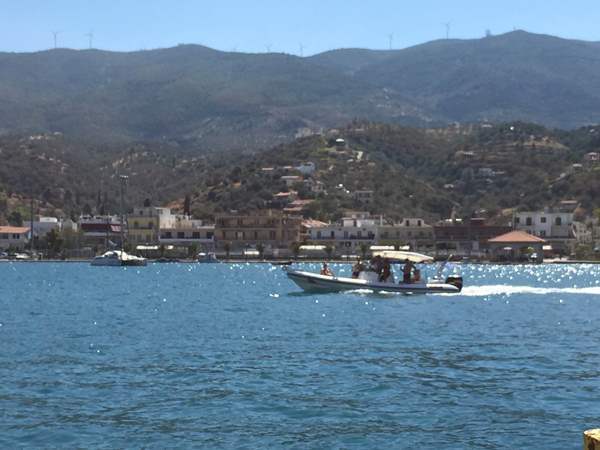 The cruise offered a visit to the three Greek islands of Hydra (pronounced as ‘eedra’ and referred to it as a rich man’s island), Poros, and Aegina (the cultural island). 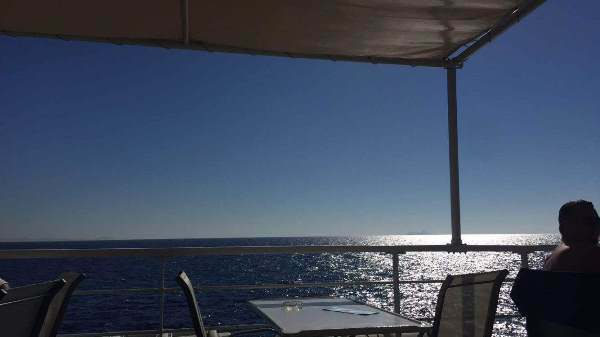 Although the price for the cruise was a bit steep, at 99 euros, but for those visiting Athens and looking to visit a Santorini-like island (Hydra), this cruise is a good option. It had food and transportation to and from the hotel included and a traditional Greek dance show for entertainment aboard the cruise. For the tech savvy lot, I recommend booking online since it’s cheaper, and don’t forget to ask for student discount shamelessly everywhere you go. 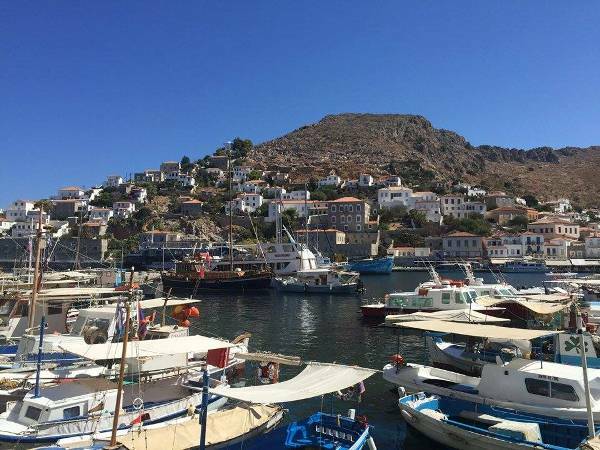 The three and a half-hour journey to the island of Hydra paid off. The water was actually three different shades of blue and the white houses with the blue roofs and windows had a Santorini feel to them. The island truly was a rich man’s island for good reason. The water was also twice as expensive. The time at the island, albeit short, was enjoyable. 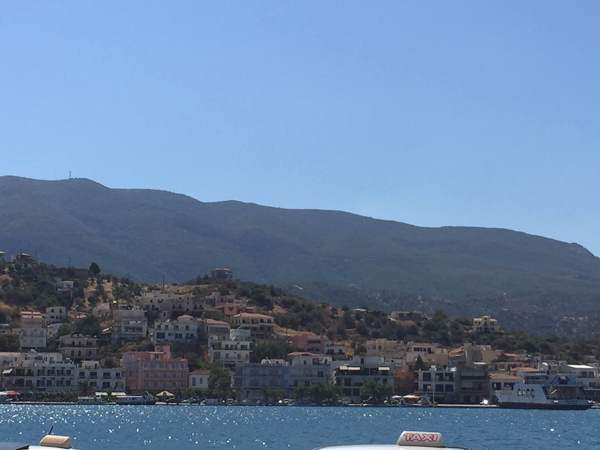 The island of Poros was a slight disappointment; it was smaller and paled in comparison to Hydra and since it was time for the siesta, everything was closed. We opted to go swimming at the island of Aegina (there was an extra charge of 20 euros since they took us to a ‘very special swimming place’) instead of the bus tour around the island. The ‘very special place’ also had a deer and a peacock causally roaming around on the beach which I found quite amusing. All in all, the cruise tour was highly recommended for those not visiting any other city in Greece. 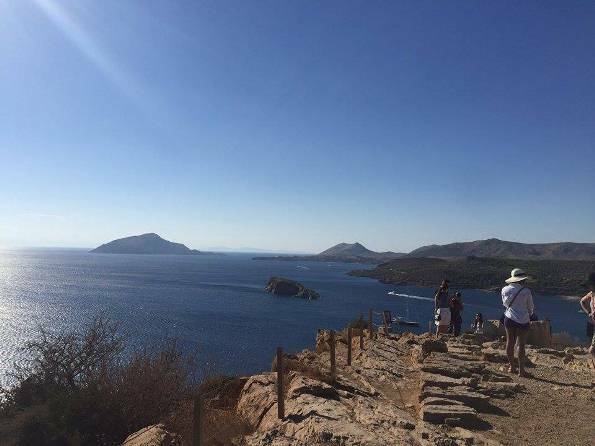 The third day, we opted for a half-day tour of the temple of Poseidon, Greek god of the seas. 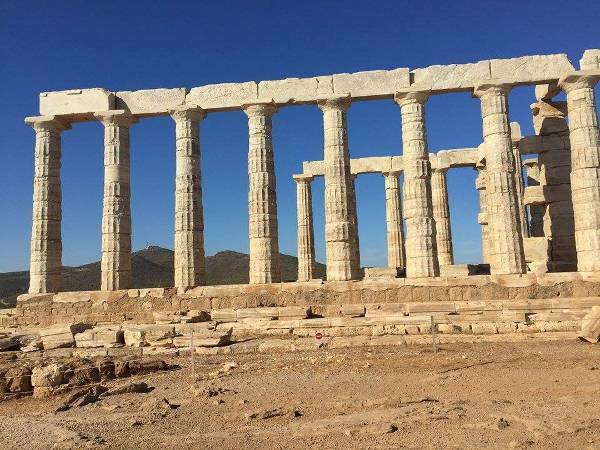 The temple is located at Cape Sounion and is a two-hour bus ride from Athens. The temple ruins are on a hill and surrounded by crystal clear water but the tour allowed us to be there for barely an hour. In retrospect, I would have omitted this from our itinerary since it was not worth the money that we paid (44 euros). 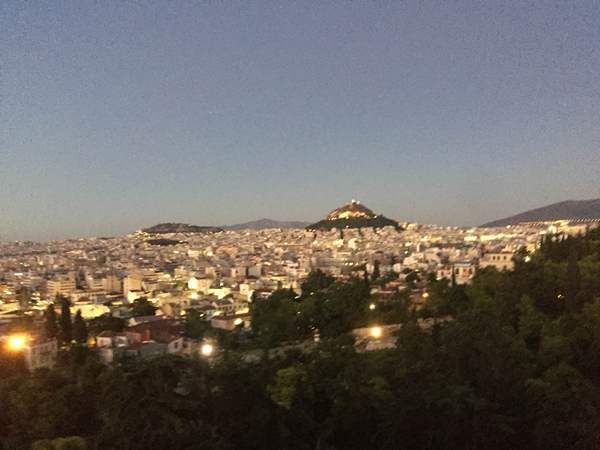 For those interested in the night life of the city, Athens is a city that comes alive at night. There are various places one can go to, depending on the budget. The south of the city, bordering the seaside, was more expensive and posh. We chose the liveliest area, Gazi, where there was a multitude of students. Surprisingly, Athens’s nightlife is not the typical nightlife you would expect; there is a lot more focus on conversation than on dancing. I would highly advise all tourists to take the taxi at night since some areas can get shady after dusk. The metro which runs till 2am on weekends is a good option and quite easy to navigate around as well. The city is a treat for all seafood lovers. I literally ate the best grilled seafood (especially octopus) and the vegetables even tasted great. Zucchini is a very popular vegetable and courgette balls are a must-have as starters along with Tzatziki (a classic dip made out of yogurt, cucumber and garlic). Souvlaki (grilled meat on a skewer) is a hot favourite of the Greeks and is considered their most famous fast food. Don’t expect to find a Mcdonald’s or Pizza Hut there at every corner and be prepared to try traditional Greek food because no experience is complete without trying the local cuisine. For all those looking for a non-beachy vacation, I would highly recommend Athens. It may not be love at first sight but you slowly begin to appreciate the city for its authenticity and its resilience. How much will it cost for a 4 day trip? Info without money analysis is incomplete. And why would you want to go and watch runis in athens when you have your very own Mohen Jadaro baba sein? Greece is a great bargain. Considering it is on the verge of defaulting on loans. Greece and Spain, [just about everyone knows that] that are excellent bargains. Because their economies are troubled, tourists are appreciated, bargains are good. Satraps, warlords use to come there, in ancient times to get their fortune told. fortune. Rather, the god Apollo spoke through these priestess/priestesses. I really enjoy the way you write, you made me experience Athens. I felt like I was there! But I was hoping that there would be more stuff about the swimming part as I love to swim myself. Besides that, they way you’ve written this is quite appealing. Keep up the good work! I love your article. 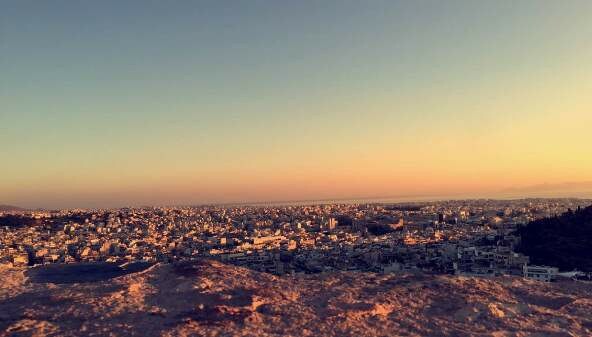 You really make Athens sound like the place to be :) and sounds like great halal fun ! This article was not political. But you made it so. Hindu habits? leaving their country in droves. And migrating to Europe. Right? Same goes for Balochistan, with “Hindoostan’s” pathetic meddling. and your kind. May they bestow mercy on your soul.